After being on the look out last week for flies, it wasn't surprising that I spotted this one resting in the sun. I knew right away what is was. A fly with a fuzzy body and colored wings, it had to be a similar species to the illustration I have framed on my wall. This illustration is by Edmund J. Detmold, who was born in 1883. On the print you can see his initials, EJD, in the corner. 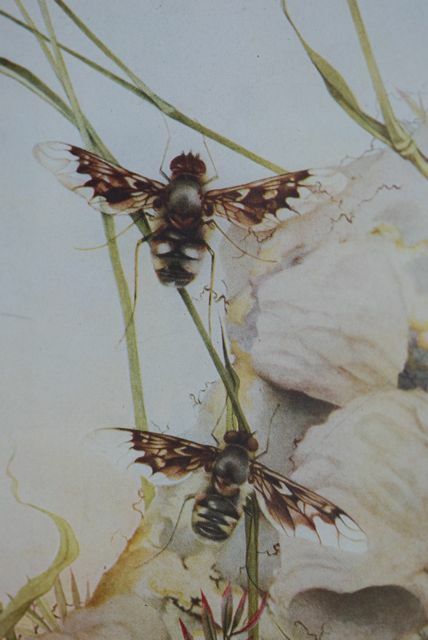 Detmold did this illustration for Fabre's Book of Insects in 1921. Jean Henri Fabre was a French entomologist known for his keen observations of insects and his poetic text. The last chapter of his book is devoted to the habits of "The Anthrax Fly." "The Anthrax Fly: Her delicate suit of downy velvet, from which you could take the bloom by merely breathing on it, could not withstand the contact with rough tunnels." 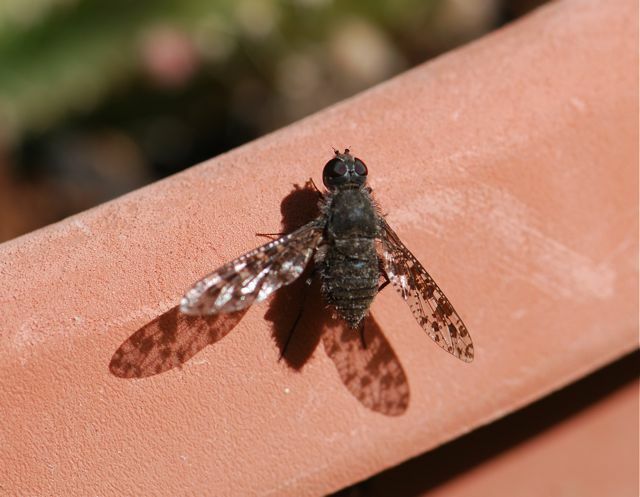 The fly in the picture is a bee fly of the genus Anthrax. These flies usually lay their eggs in bee or wasp nests, which are the tunnels from the quote. Their larvae are for the most part parasites of bees and wasps. 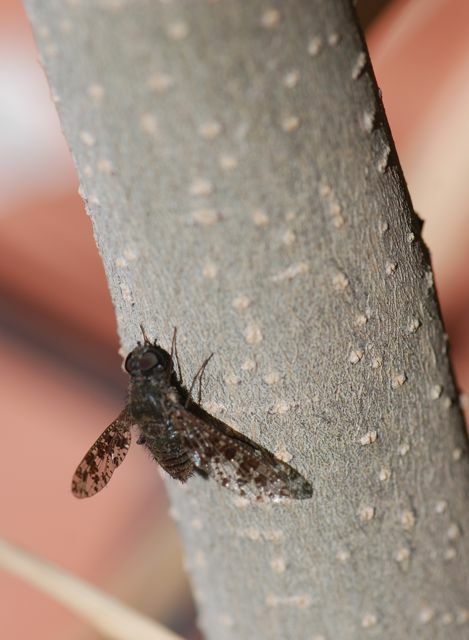 You can see more photographs of bee flies in the genus Anthrax at BugGuide. Sometimes discovering an insect can feel like discovering a bit of history. A translated version of Fabre's Book of Insects is still available from Dover Publications, although Detmold's illustrations are not included.